Every summer when we visit our local aquarium we are always in awe of watching the beautiful jellyfish swim around in their tanks. We especially love the ones that change colors in the dark. 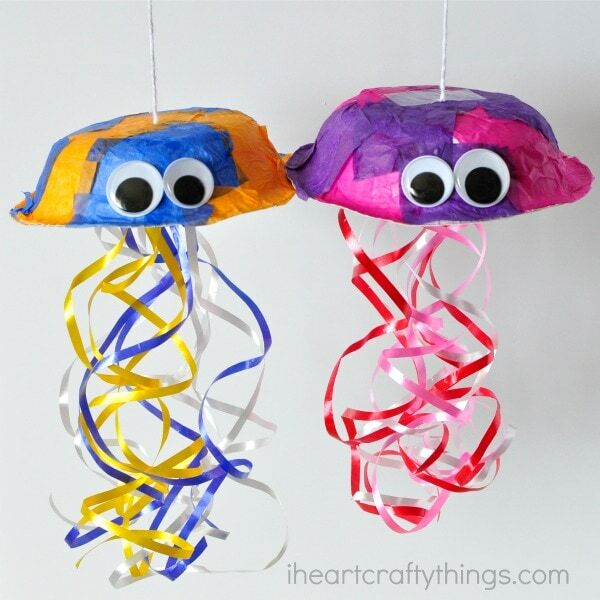 They inspired us to make this colorful jellyfish craft that I’m sharing with you today. 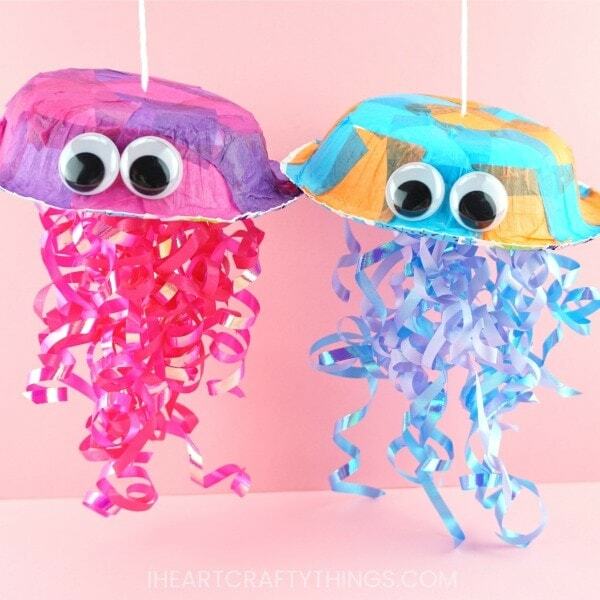 The best part, it requires no paint so if you’ve been on the hunt for a fun summer craft that doesn’t make a lot of mess, this jellyfish craft is perfect! Make sure to check out more of our ocean crafts while you are here. 1. Start by cutting up your tissue paper into square pieces. 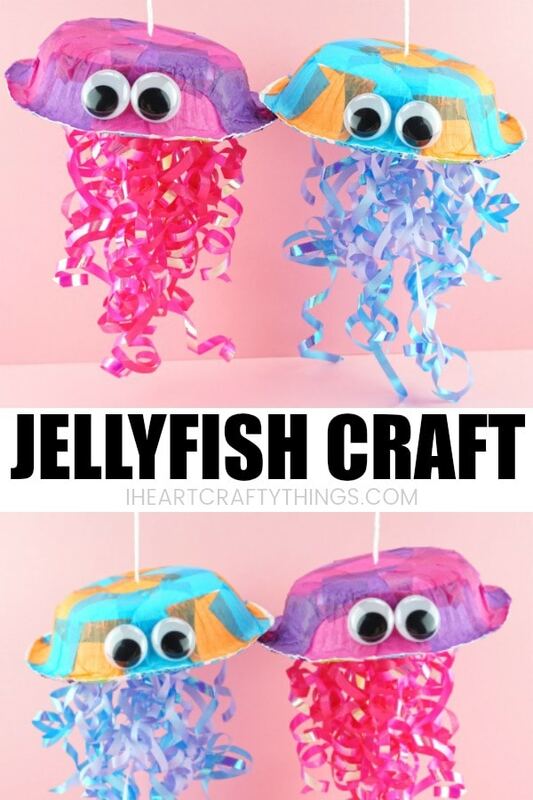 Use a few different colors if you want to make your jellyfish craft extra colorful. 2. Turn your paper bowl upside down and add school glue all over the bottom of it and the sides. Put your tissue paper squares all over your bowl, covering the bottom and sides of the bowl completely. 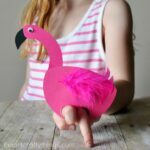 You might to add a little more glue to corners of tissue paper that are still sticking up. Let your glue dry completely. 3. Have an adult use your scissors to poke a small hole in the center of your paper bowl. Push your white string through the hole, tie a knot in the end and tape it down inside the bowl. 4. Remove the adhesive backing from your curly gift bow and attach it to the inside of the bowl. You’ll want to position it so it hangs down from the center of the bowl. 5. 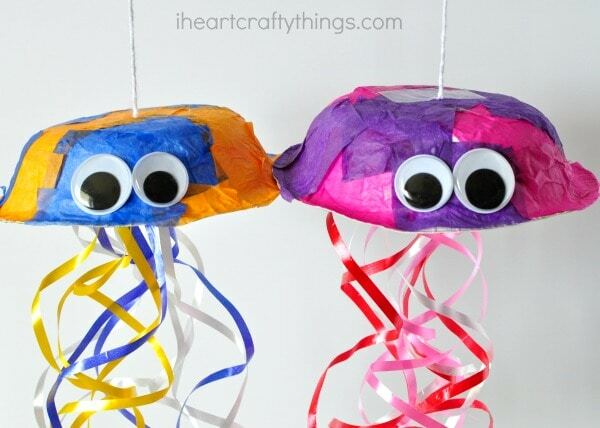 Finish your cute and colorful jellyfish craft by gluing on googly eyes. Isn’t it adorable? My daughter has loved to hold it by the string and walk it around making it’s little tentacles jiggle. This adorable crab craft is sure to bring your summer a smile. 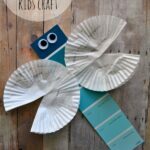 Using cupcake liners to create the crabs makes this craft super simple. Do do do do…Grab some old newspaper and upcycle it into this awesome newspaper shark craft! These paper fish are super cute and unbelievably easy to make. The sparkly sequins add perfect scales details to the bottom of the fish. 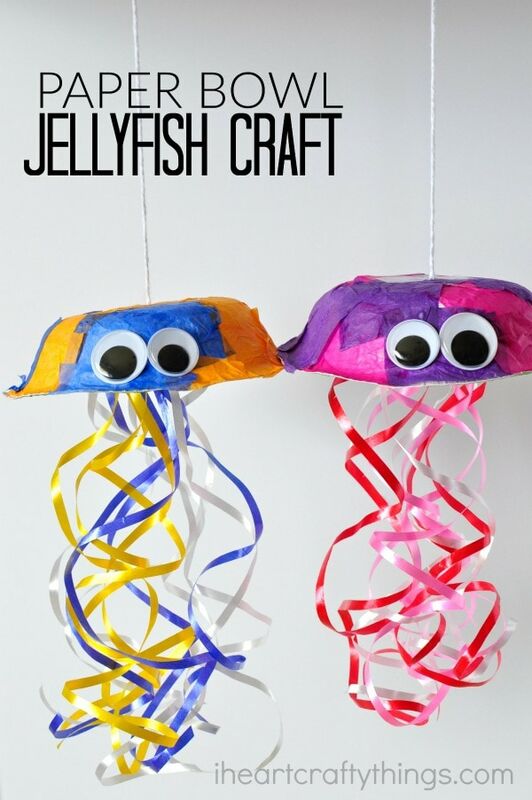 i made the jellyfish and let me tell you it worked out great, my child loved doing it with me too. 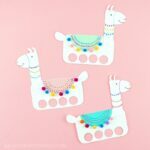 my children said that they would love to try other things including the jellyfish craft and this Thursday coming me and my daughters are having a craft night all thanks to this wonderful website its so interesting i would recommend it to everyone, we would like to know if you do family crafts! Because if you don’t that is fine with me its just that as a family we love doing things together and we are all very arty. whoever made this website is a genius, and thank you for making it because it has brought the family to do more things together it is such a good website! I love it and so does the family. Such brute colors and easy and clean free. Also great for seniors.